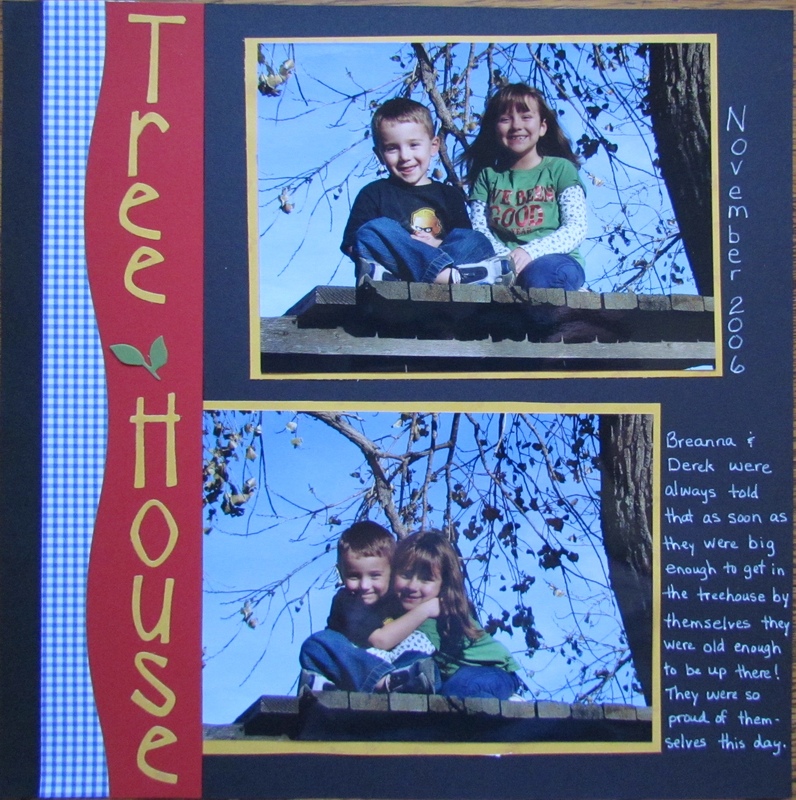 This page is for Granddaughter Breanna's album. The pictures are similar to the ones for her brother's book. The journaling was with a white pen on black paper. Wonderful!!! What a heartwarming story. The kids will be so glad that you scrapped this memory for them. I especially like how you placed the title and the simplicity of the leaves between the words.